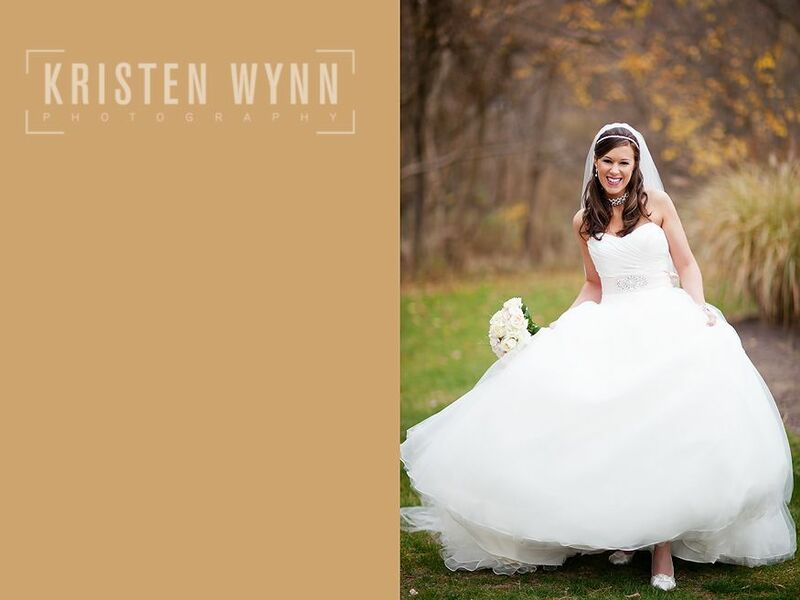 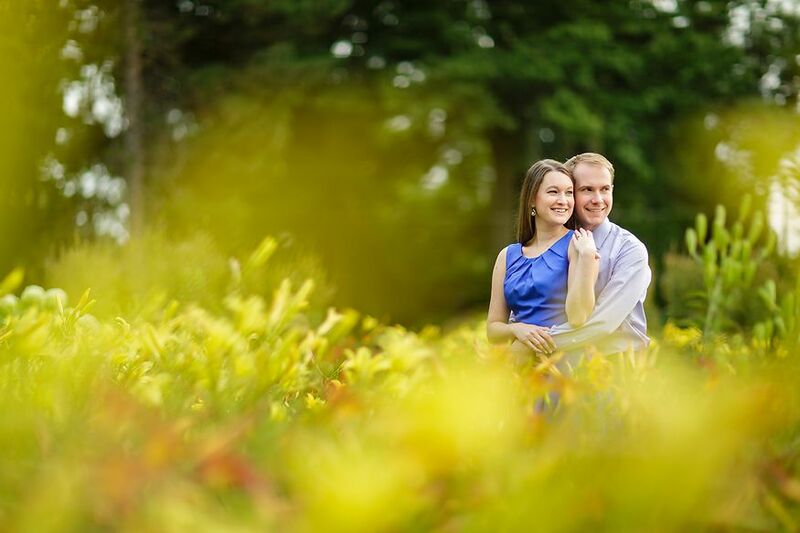 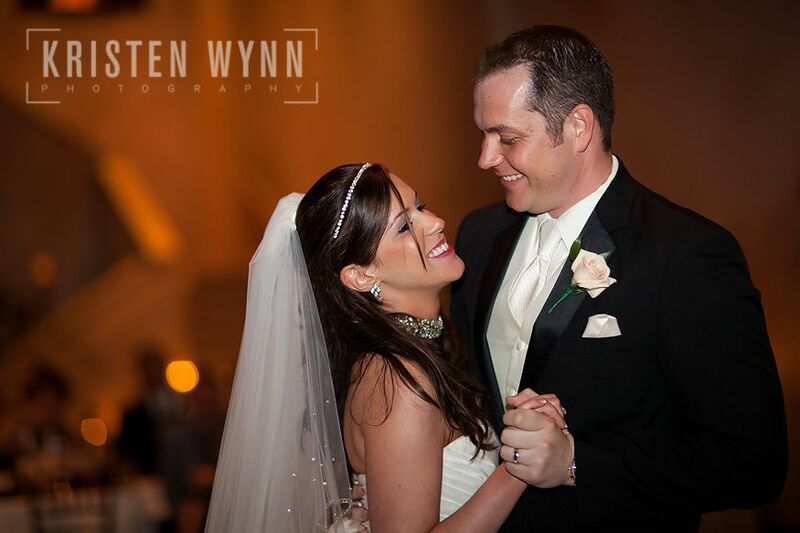 I loved working with Lauren and Matt! 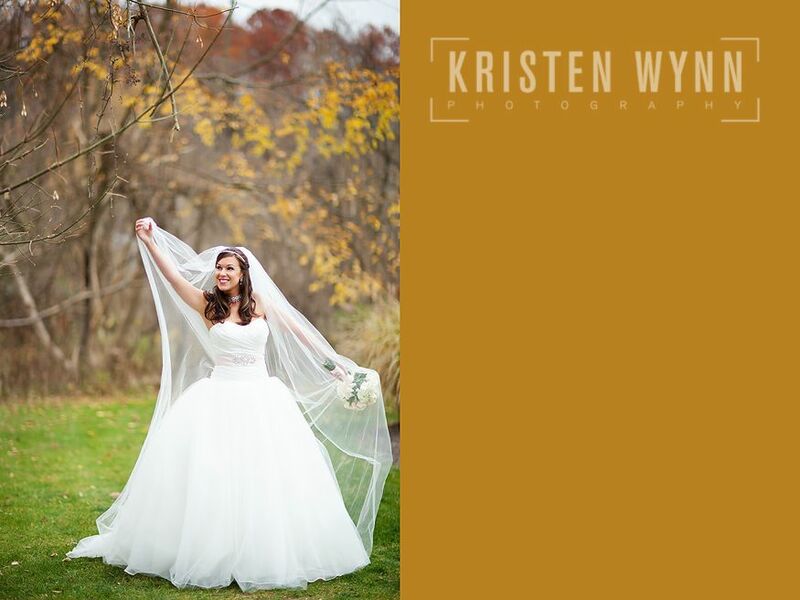 🙂 She was a bridesmaid in Kristy’s wedding last fall (I just adore Kristy and Adam!) 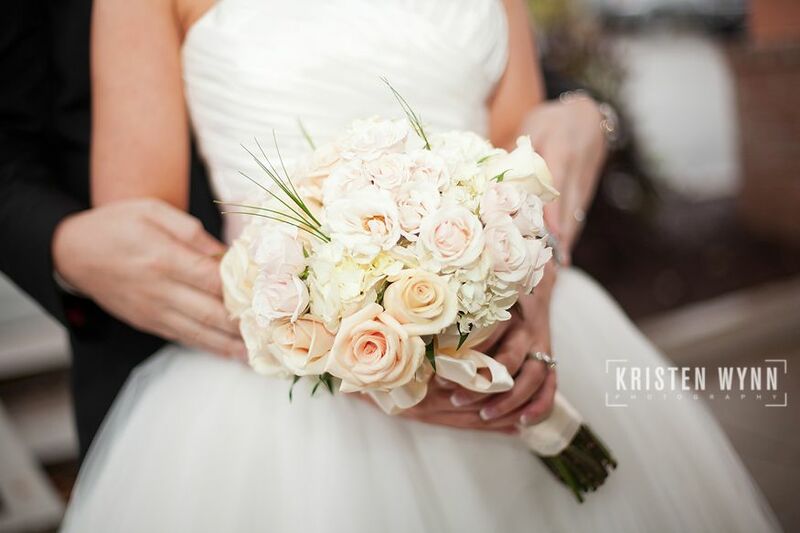 and Kristy was a bridesmaid in Lauren’s wedding too! 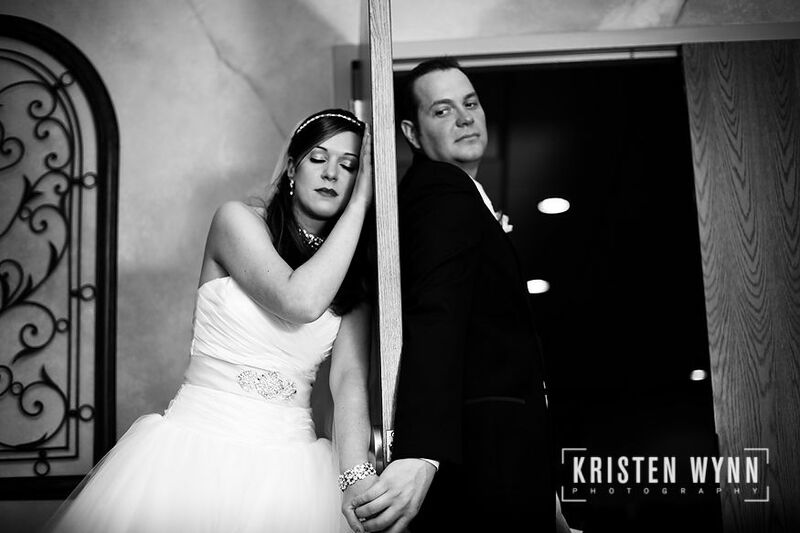 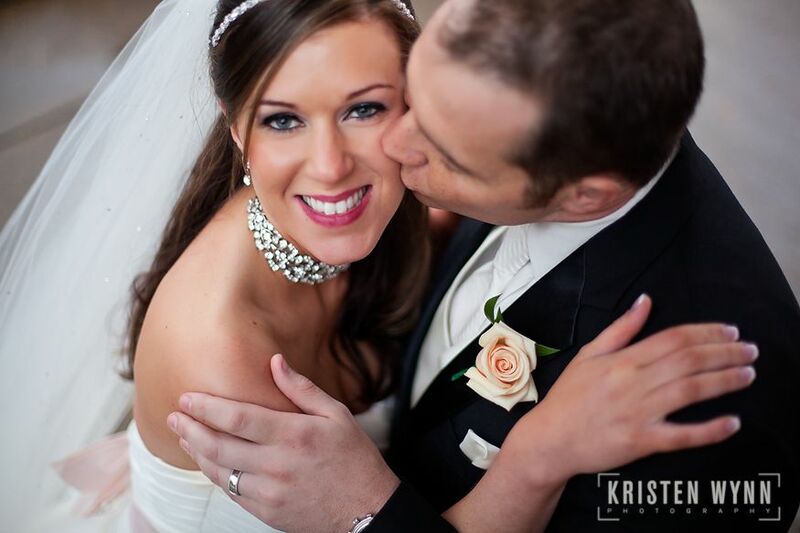 And one of our other KWP couples, Tara and Chris, were also in the wedding. 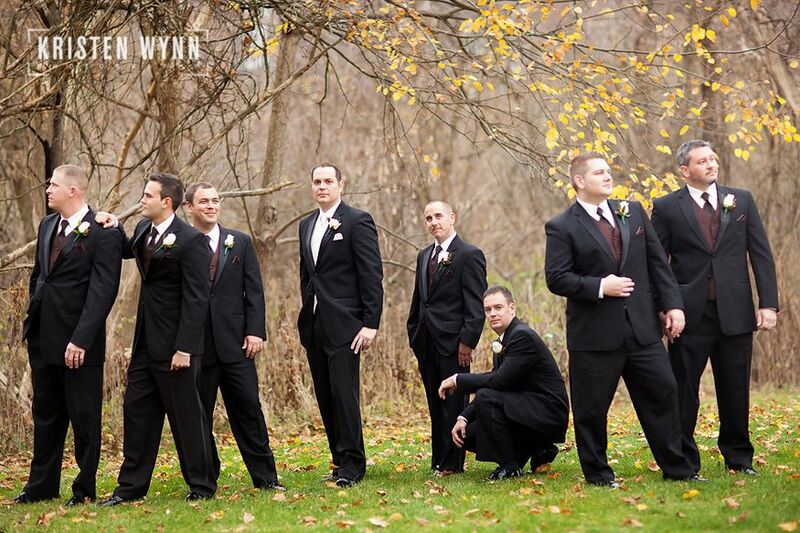 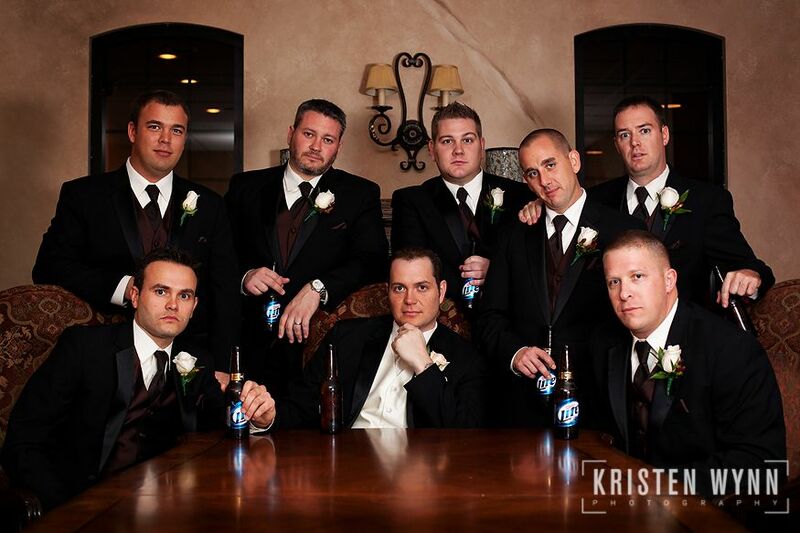 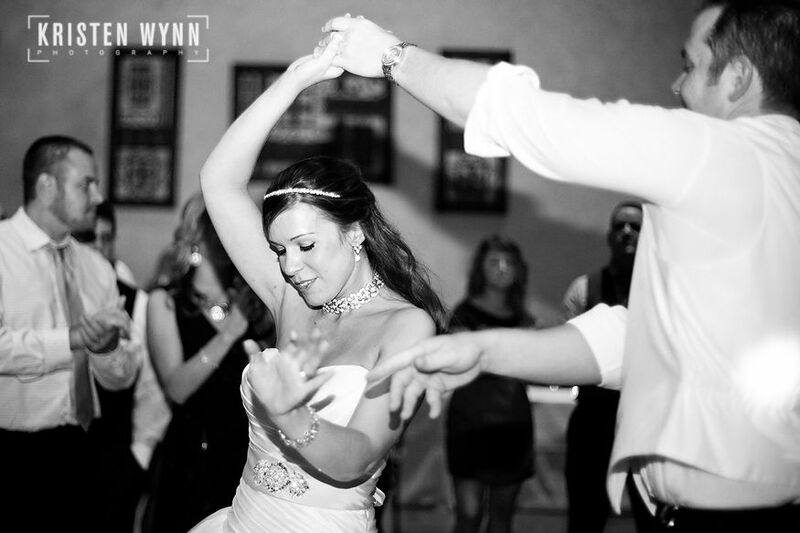 I really love working with this group because I know the wedding style of all the ladies is very polished and classy. 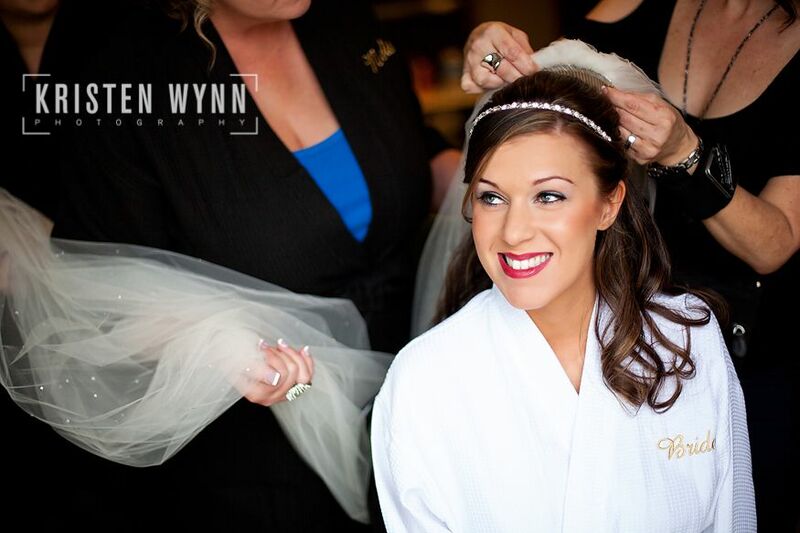 Lauren’s big day was of course no exception! 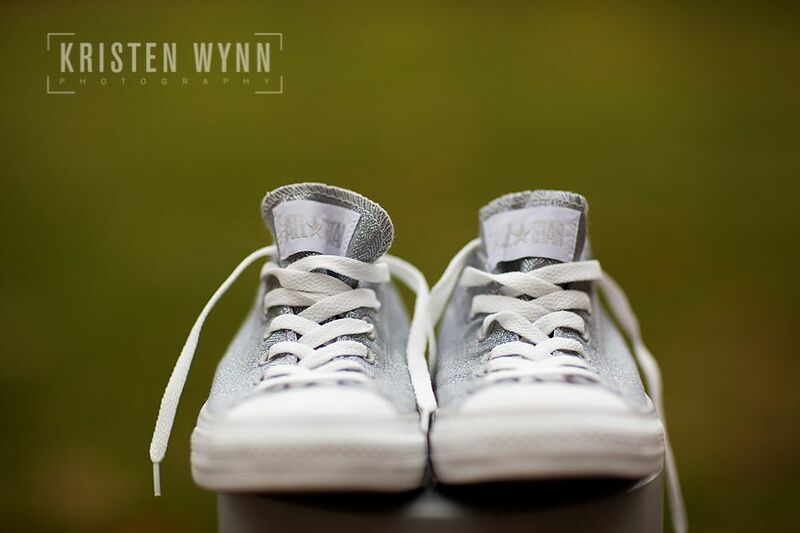 There were two very different styles of shoe worn by the bride throughout the night! 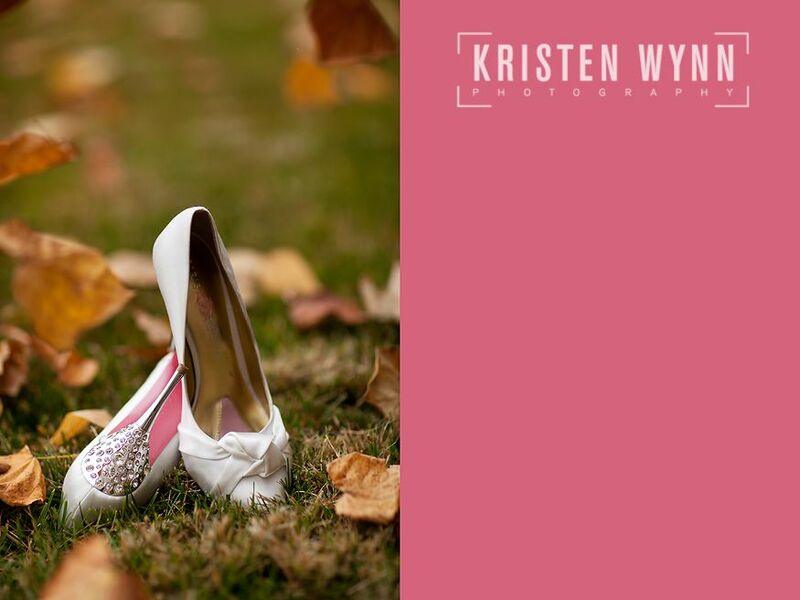 Check out those heels! 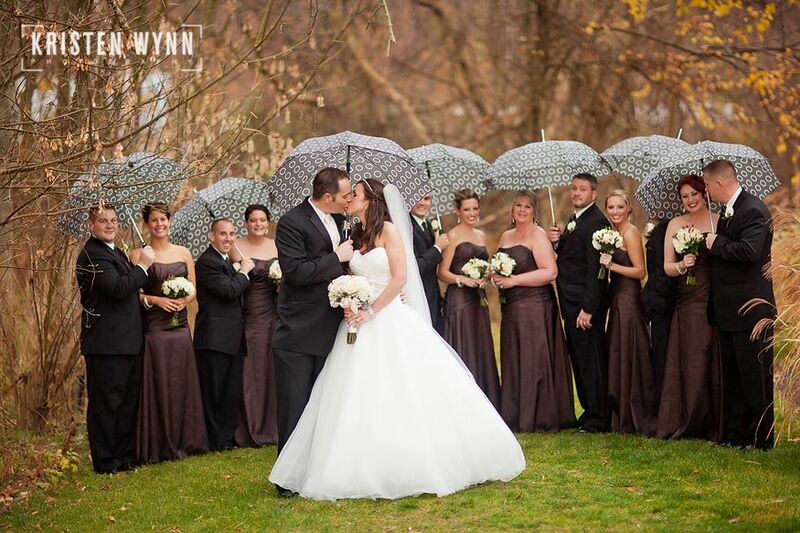 The day was just a tiny bit rainy, but it did hold off for some of my favorite portraits of the bride and groom alone. 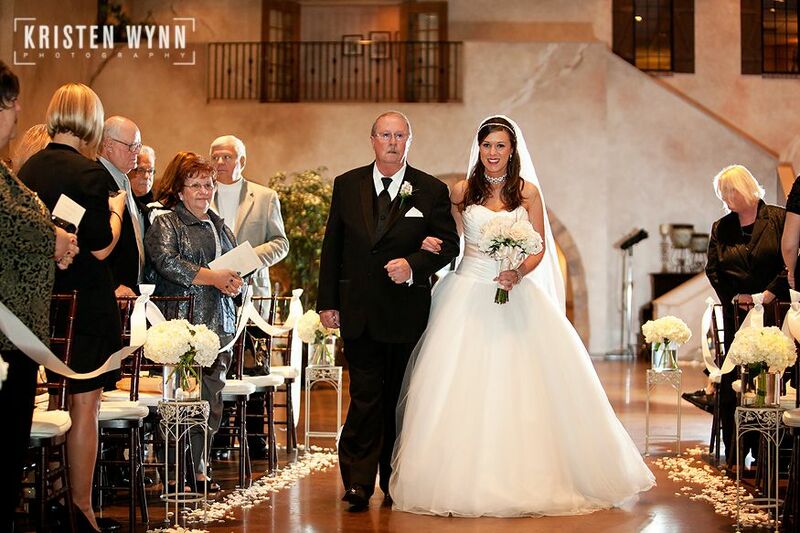 Lauren and Matt made the choice to have their ceremony and reception at the same venue, and that’s always a big hit with guests! 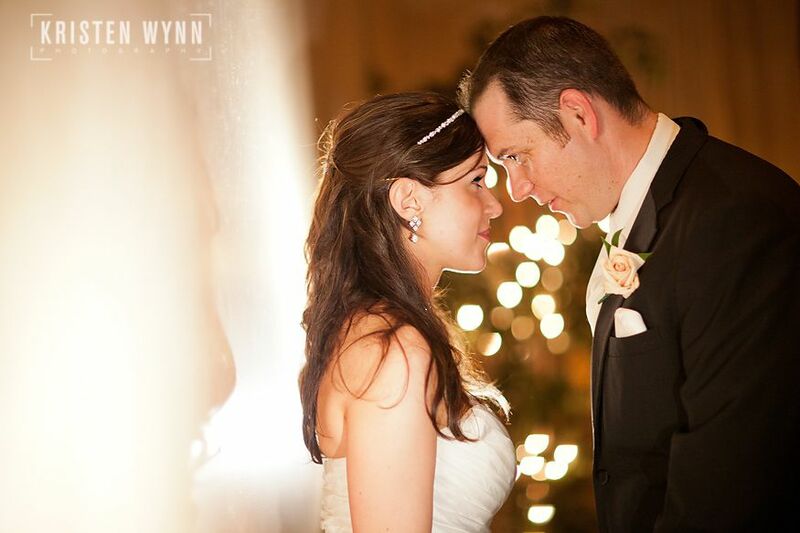 The bride and groom did a “first touch” instead of a first look prior to the ceremony and shared vows they had written to each other at that time. 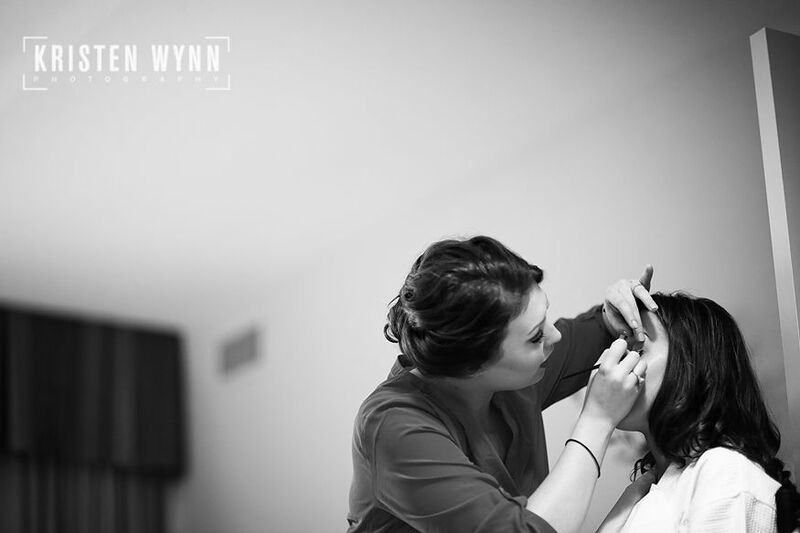 After the ceremony, we did some brief portraits of the bridal party and bride and groom before the reception kicked off! 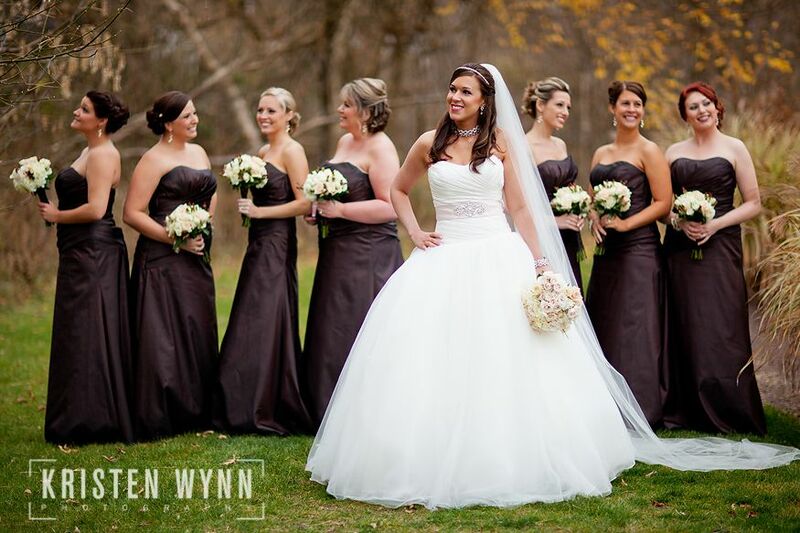 They are all beautiful! 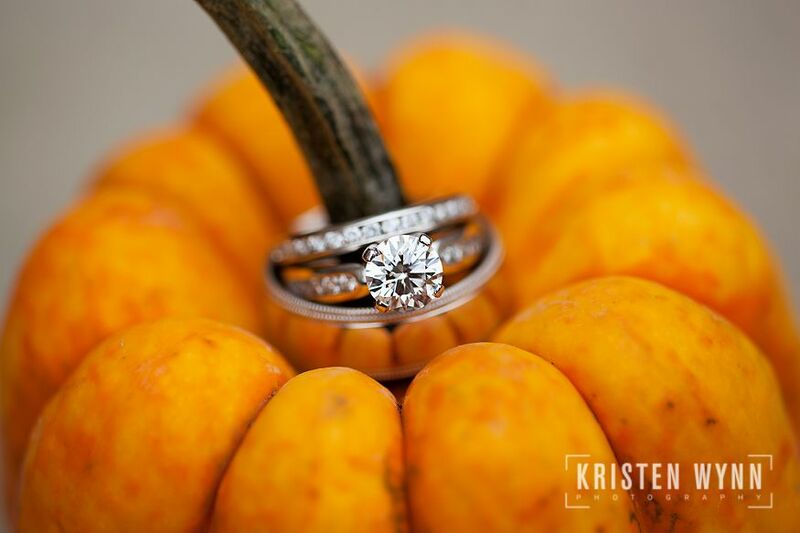 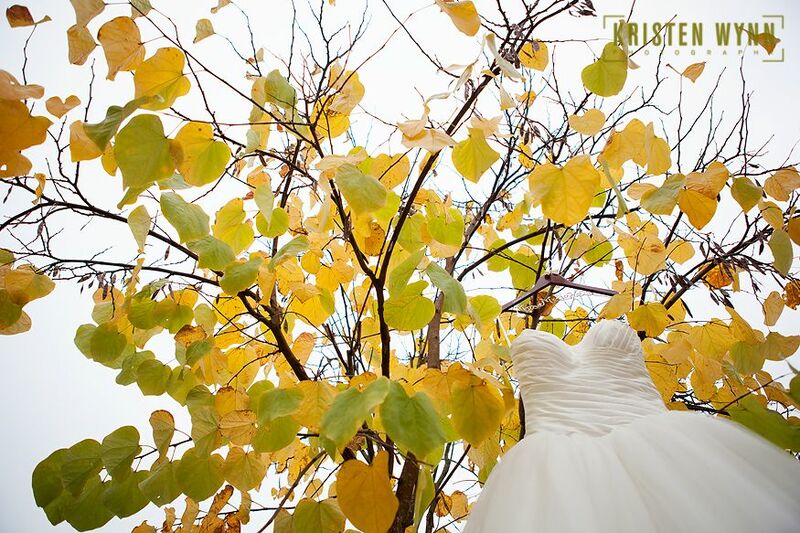 I love the photo of the bride with her veil out, and the rings around the pumpkin stem look too cute.